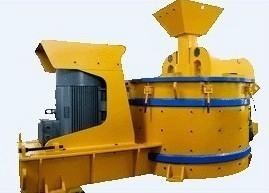 The VSI is an ideal third or fourth stage crusher designed to crush the complete range of ores, rocks and minerals. The rock-on-rock crushing principle has revolutionised material reduction by providing a crusher that produces excellent reduction at a low operating cost. VSI combine high velocity impact crushing with attrition crushing to produce cubical product & quality sand. VSIs are unique amongst all vertical shaft impactors due to the pure rock-on-rock principle. Impeller shoes or impact anvils are not needed to achieve reduction. with over 3000 units operating in aggregate and mineral processing installations around the world, the VSI has an established track record of cost savings, durability and unmatched performance in a variety of applications. The VSI is the only thoroughly field proven, successful rock-on-rock vertical shaft impactor. The lowest possible cost per ton.